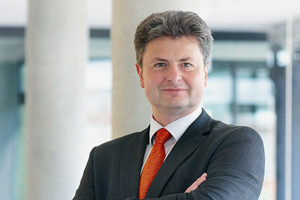 Michael Amberg (born in 1961) studied computer science at RWTH Aachen University and Friedrich-Alexander-Universität Erlangen-Nürnberg (FAU) and completed his Diplom in 1989. From 1989 to 1999, he worked as a research fellow at the University of Bamberg, where he obtained his doctoral degree and subsequently completed his habilitation in 1999. From 1999 to 2001, he was professor of information systems at RWTH Aachen University. He has been Chair of IT Management at FAU since 2001. Professor Amberg’s research priorities are system development and IT management. He analyzes methods, models, and strategies to develop, implement, and operate information technology. His work is concerned with issues such as profitability, quality, and acceptance of innovations in IT. He is also interested in business model transformation, IT outsourcing/offshoring and cloud computing, IT project management, industry 4.0, big data, open innovation and information overload. Between September 2007 and August 2012, Professor Amberg alternately held the positions of speaker of the School of Business and Economics, and vice dean and dean of the Faculty of Business, Economics, and Law.